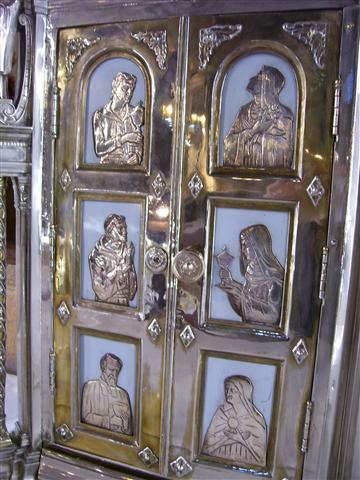 St. John Vianney, whose feast the Church celebrates on August 4, is one of six saints associated with the Eucharist or the offering of sacrificial gifts who is depicted (bottom left) in silver relief on the doors of our Tabernacle. Thursday, August 7 at 8:00 p.m. ~ Bingo will be played in St. Charles Hall. Saturday, August 9 from 10:30 a.m. to 12 Noon ~ Helping Hands Food Pantry in St. Charles Hall. Saturday, August 9 at 8:00 p.m. ~ Bingo will be played in St. Charles Hall. Monday, August 4 ~ St. John Vianney ~ Communion Service at 11 a.m.
Summer in the City 2014 ~ Join in the celebration of Summer in the City and the Feast of St. Lawrence on Sunday, August 10, at St. Lawrence Church, 1520 E. Delavan Avenue, from noon to 5:00 p.m. There will a jazz band, BBQ food, open house tours, dancing, desserts, games and raffles. The desserts will be provided by the Catholic Churches of Central Buffalo (CCCB). We still need a few more volunteer dessert bakers and folks to help with serving in our tent. If you are able to help with any of these tasks, please sign the volunteer sheets on the altar rail near Our Lady’s Shrine or contact Dan Korchowsky. Children’s First Scholarship for 2014-2015 ~ Scholarships are now available for Buffalo children transferring out of low-performing schools to an area private school, but the time to apply is short. The scholarship is being funded in part by the John R. Oishei Foundation. The Catholic Diocese of Buffalo and three other local foundations have made matching grants for the effort. The program will be overseen by the Bison Children’s Scholarship Fund. We have information and application forms for parents who are interested. Please see or call Sister Barbara (833-0301) if you would like a packet. Applications should be completed and submitted as soon as possible. Catholic Charities ~ Thank you! We are so appreciative to our donors, volunteers and other supporters who contributed to the 2014 Appeal, pushing us to exceed our $10.8 goal. Because of your support, we will be “heart at work,” serving our neighbors in Jesus’ name. Learn more about what we have to offer by visiting http://www.ccwny.org or by calling 716-218-1400. The Boys of Summer will perform at an outdoor concert at SS. Columba-Brigid Church, 75 Hickory Street, Buffalo on Sunday, August 3, from Noon until 4 p.m. Hot dogs, desserts and a beer tent will add to the enjoyment of the day. For further information, call Father Roy at 716-852-2076. Single Parent Family Camp will be held August 10-16 at Camp Hope/Camp Duffield in Delevan, NY. This is a place where single parents and their children can work at strengthening the family unit, find a place to heal, and receive support from other single parents who have also suffered the pain of divorce, separation or death of a spouse in a safe, loving and fun atmosphere. For more information or if you have questions about camp, we have veteran campers who can answer them! From Buffalo to the south, contact Tom Bardo at 716-471-1051 or tom [at] camphopeny [dot] org. 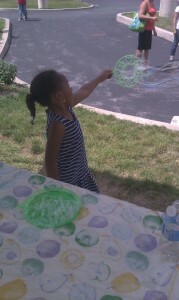 From Rochester to the east, contact Michelle Ames at michelle [at] camphopeny [dot] org or 585-749-5059.